Global fish-stock is fast depleting due to rampant overfishing, so much so, that we may be one of the last generations to catch our food from the oceans unless strident guidelines and measures are put in place. There are a history and context of every piece of artwork, including still-life from the sea. The art of fishing is painted with the palette of the ocean; every brush-stroke-like a net being dragged across the aqueous canvas. The beauty of a seafood masterpiece is dulled by the time it spends drying, the harsh light and ice doing it no favours; every hand through which it passes soils the craftsmanship. A connoisseur of seafood knows better than to go by red gills and clear eyes; while the producers of this fine art are often ignored or misunderstood. Like Van Gogh, fishermen may lead impoverished lives, unrecognised for their creative genius. After all, mastering the art of catching truly fine seafood requires a thorough understanding of the medium, its response to different weather and humidity conditions, critical observations of moods and seasonal changes; an understanding that goes beyond the mere sense of sight. Accordingly, producing an outstanding still-life from the sea ought to be painstakingly complex. If a curator were to inspect the origins of a potential new addition to a seafood gallery, the forgeries would become immediately obvious. Shady practices attempt to ease and simplify the process of fishing at the cost of the marine ecosystem, rendering seafood insipid and distasteful. The mass produced version of traditional angling is mechanised, commercial fishing. This nightmarish renaissance took hold of India in the 1970s, when mechanised trawlers were introduced. Trawler technology had the capability of catching more numbers and indiscriminate varieties of fish than ever before; it also introduced the concept of onboard, refrigerated storage to allow fishermen to stay out on the water for longer. One alarming variant of trawlers, the bottom-trawl, has captured the imagination of fishermen all across India. With government subsidies on boat building costs and fuel, the bottom-trawl is a get-rich-quick scheme; as the trawler scrapes its net across the sea bottom to rake in all the profits, the near-shore marine ecosystem is left to bear the costs. Since many fish eggs, plants, molluscs, crustaceans and other sea-life, which are important parts of the marine food chain, reside on the sea bottom, destroying the seabed has serious repercussions on the abundance and growth of the species that we consider seafood. 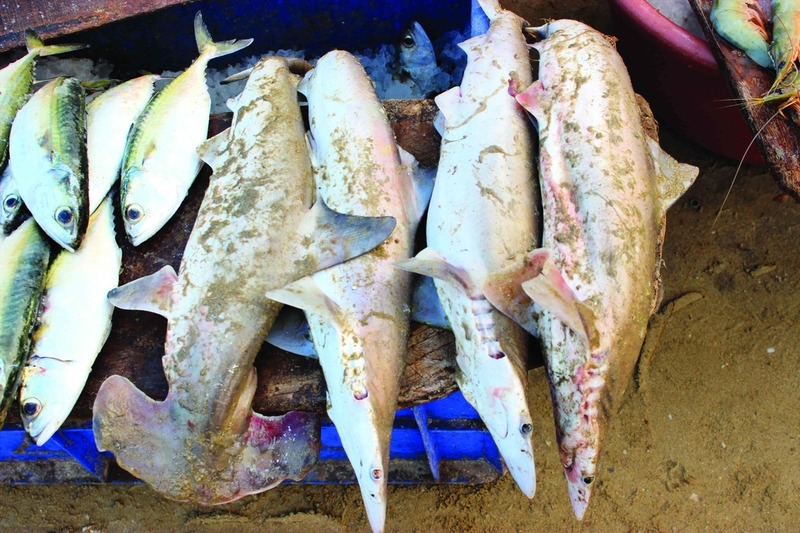 Fishing communities now have to come to terms with drastic declines in fish catch due to this form of overexploitation. Simultaneously, the introduction of commercialised technology like trawling and purse- netting has had a drastic social impact, converting relatively egalitarian fishing communities into those divided by economic class. Rather than better the conditions of existing fishermen, they created a new kind: city-dwelling owners of over twenty vessels who have never been to sea and have no previous knowledge of where fish live and how to find them. They merely equip their crew with digital fish finders and send them out to hunt. The art of fishing is now a commercial enterprise. This new economic and political world order has transformed small, resource-dependent fishing communities across the world, no matter how isolated or bohemian they were once. Matching the economic aspirations of city-dwelling fishermen with the socio-ecological and economic aspirations of traditional fishermen has become a great source of conflict in fishing communities today. This conflict manifests itself as overfishing. The changing times have brought with them a new perspective on the ocean, as one open to exploitation by all. This has altered people’s sense of belonging to fishing communities, modified their relationships with fishing methods, affected the number and types of fish caught, and ultimately distressed the marine ecosystem. The disconnect between fishermen and their artistic medium is most obvious in terms of the seafood produced. Most fishermen talk about the decline in fish catch. In fact, in a recent study that I conducted, it appears that fishermen are responding to these ideas of decline, by fishing harder, further and longer. This only speeds up the vicious cycle of overexploitation. The spiralling descent into oblivion can have only one impact on the consumer. Seafood is soon going to be as expensive as a Van Gogh painting. However, the simple act of discerning a true seafood artist from the forgeries could be enough to safeguard seafood prices, fishing communities and the marine ecosystem. In their villages, separated by time and thousands of miles of coastline, fishermen dream of a period when there will once again be enough fish to go around when their knowledge and identity will once more be of value. Recognising and supporting this dream through simple consumer choices is an important move in the right direction. A simple first step to avoid imitations is to buy directly from the seafood artist – the fisherman. Seafood is not just a product of sea – rather, it is the tangible outcome of social and environmental relationships. The freshest fish are found in coastal areas, in the baskets of fishermen who fish only a few hours a day. In this day and age, there are only certain types of communities and social structures that support this bohemian lifestyle. 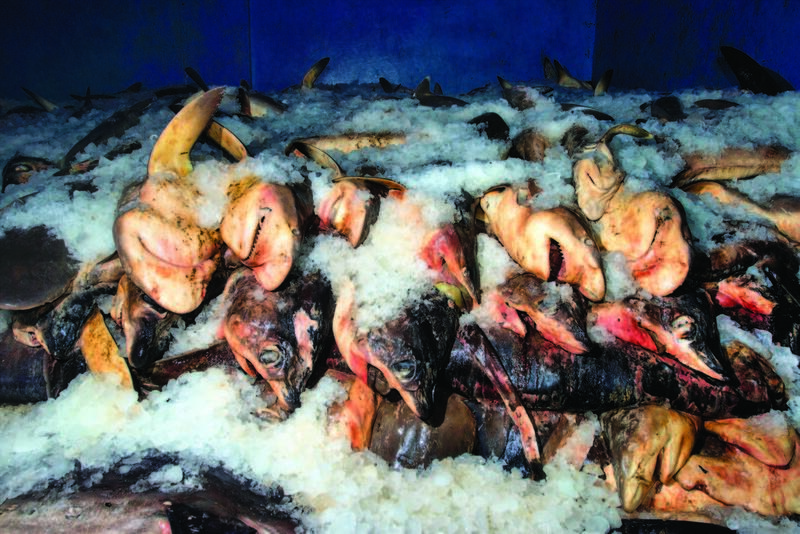 The Pacifico Norte fisheries co-operatives in Baja California, Mexico is one such example. They have integrated scientific inputs with traditional social relations that involve transparent governance and democracy, to create resilient nearshore habitats for sustainable lobster and fin-fish fisheries. This elaborate and complex process of achieving sustainability was brought about through a community-led initiative that bases its fishing practices on local ecological knowledge gleaned over generations. This painstaking route can enable masterpieces of still- lives from the sea because sustainable fisheries mean less time and effort spent in harvesting seafood. This results in shorter time spans between ocean and plate, i.e. the freshest seafood. Other masterpieces are being composed by responsible fishermen who are guided by years of hard-earned ecological knowledge. When a heaving sea, spitting white foam in annoyance, deposits a shuddering trawl fishing boat onto a jetty along the Arabian Sea, a transformed fisherman awaits the unloading of the catch. Aslam owns several fishing vessels, despite having started from humble beginnings, and he is well aware of natural cycles, ecology and sustainability. It took just one fateful event to change his life. At a workshop on fisheries, he was offered a pamphlet that painted a graphic picture about the threats to lobsters from bottom-trawling. Being the owner of bottom- trawling vessels, he was gripped by the consequences of his chosen path to economic mobility. That pamphlet is the reason he is on the landing dock today – to convince the fishermen to release egg-bearing female lobsters and all other lobsters that are too small to fetch a good price. Aslam’s initiative is small scale, and certainly doesn’t tackle the larger problem of bottom-trawling head on, but he himself has altered and aspires to bring about change through a process of dialogue with the fishing community. A tide has turned in the Indian Ocean. Fishermen like Aslam are gradually beginning to move away from what are perceived to be unsustainable methods of fishing. This movement is small and individualistic but is deeply rooted in fishing culture and identity. I am reminded of a statement by a fisherman in a village on the west coast of India. He said, “This is who I am, I am a fisherman, just like my father and his father before him. If you take that away from me, what am I left with? I can call myself a painter or a plumber, but what I really know is the art of catching seafood”. Divya has been studying marine fishing along the east and west coasts of India since 2010. Her work bridges ecology and social science to understand how conservation is achieved at different scales of governance in marine ecosystems. Divya is presently developing on-ground conservation programmes on the Konkan coast, as well as outreach, awareness and education for seafood eaters in general.